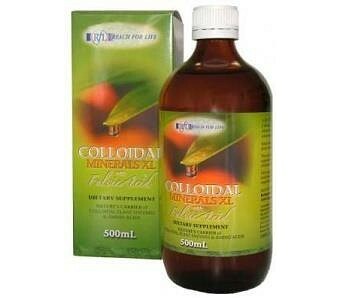 Reach for Life Colloidal Minerals Fulvic acid is a concentrated liquid that naturally boosts the immunity system and proven with research to be a popular ailment for a variety of diseases. It's simple to use - place 15ml once or twice daily in a 250ml glass of water or fruit juice. Simply drink and feel the instant health benefits. Dietary supplement 99% Bio Available A neutral tasting liquid containing Humic and Fulvic Acid 7 major minerals 70 trace minerals plus amino acids Mineral List: Antimony, Barium, Beryllium, Bismuth, Boron, Bromine, Calcium, Carbon, Cerium, Cesium, Chloride, Chromium, Cobalt, Copper, Dysprosium, Erbium, Europium, Fluorine, Gadolinium, Gallium, Germanium, Gold, Hafnium, Holmium, Indium, Iodine, Iridium, Iron, Lithium, Lutetium, Magnesium, Manganese, Molybdenum, Niacin, Nickel, Niobium, Osmium, Palladium, Phosphorus, Platinum, Potassium, Peaseodymium, Rhenium, Rhodium, Rubidium, Ruthenium, Samarium, Selenium, Silver, Sodium, Strontium, Sulphur, Tantalum, Thorium, Tellurium, Terbium, Thulium, Tin, Titanium, Tungsten, Ytterbium, Yttrium, Zinc, Zirconium, Amino Acids: Alanine, Glutamic Acid, Glycine, Histidine, Isoleucine, Methionine, Phenylalanine, Serinine, Threonine, Tryptophan, Valine. Suggested Use ADULTS: Recommended use is a minimum of 10-20ml day with large glass of non-chlorinated water or fruit juice. 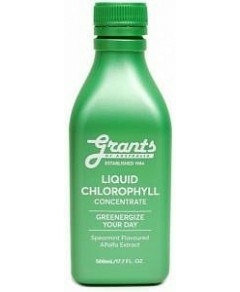 For other needs, up to 40 ml. in a large glass of non-chlorinated water or fruit juice, 3 times a day or as directed by your health care professional. Note: 1 cap =12ml CHILDREN: 1 teaspoon for every 11 Kg. of body weight. This is the lowest price ever spotted on this item at Vitamin King!